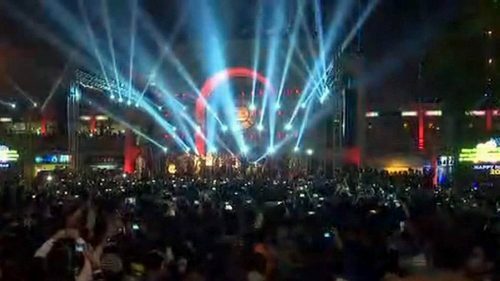 LAHORE (92 News) – Welcoming the year 2019, youths took to the streets in all major cities of Pakistan and resorted to fireworks with dance on latest tunes. Pakistan’s cultural capital Lahore has always been a hub of such activities and surpasses all other cities in the fun fare has also taken the lead this year with the whole city participating in the celebrations. Lahore Minar-e-Pakistan witnessed huge fireworks, where the excited youth and families enjoyed colorful lights on the sky. Karachi is witnessing youth coming out on the streets in large numbers and engaging in fireworks. 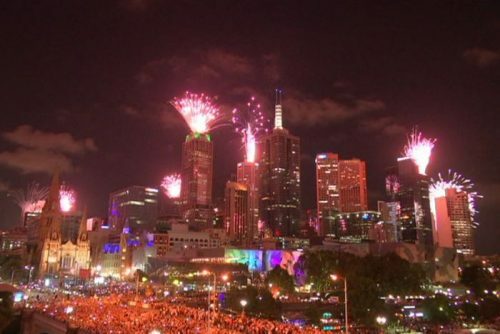 The fireworks will be on display from 11:55 pm to 00:10 am tonight at big cities to mark the New Year 2019. 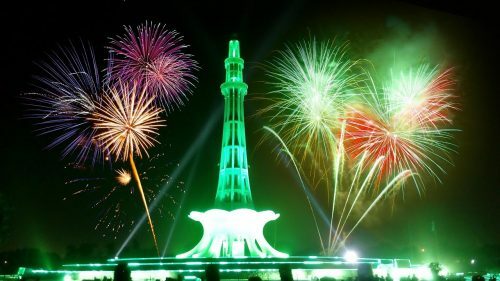 Pakistan welcomed 2019 at 12:00am tonight, for which, various events celebrated the New Year Night have been organized. Meanwhile, a special traffic plan has been devised in Karachi Sea Views firework while additional contingent of police deployed at Shopping Malls and large Business Centres. Families are enjoying food while youth is making merry with bike riding stunts and fireworks despite the administration Karachi, despite a ban on pillion riding and celebratory fire is watching youth coming out on the streets in large numbers and engaging in fireworks. Youth in Faisalabad not only celebrated the New Year but also rejoiced over the government’s decision to decrease petroleum prices. 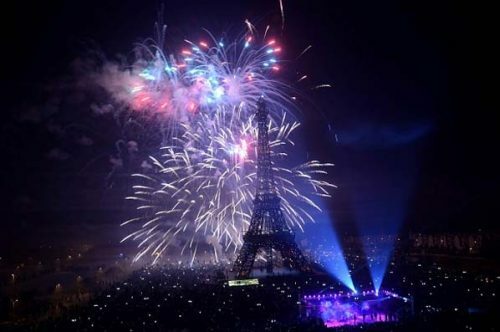 Amid all the legal troubles it is facing, Bahria Town Lahore cancelled its annual display of new year fireworks that were to be held at its replica of the Eiffel Tower. According to a post shared on the real-estate developer’s social media handles, Bahria Town Lahore called off the event due to “unfortunate and unforeseen circumstances”. “Fireworks at Eiffel Tower Bahria Town Lahore have been cancelled due to unfortunate and unforeseen circumstances. We apologise for any inconvenience you may have faced in this regard,” read the post. Ahead of New Year 2019 celebrations elsewhere in globe including Pakistan, Bakeries come up with new ideas to decorate their cakes in a bid to attract customers and put on colourful displays in their shops. Bakeries all across the country wore a festive look as people came out in large numbers for placing orders for special cakes to celebrate New Year with their loved once to make it memorable. Bakers are busy baking special New Year cakes in different flavors weighing from one to 20 Pounds and bookings have already been started, said a shopkeeper. 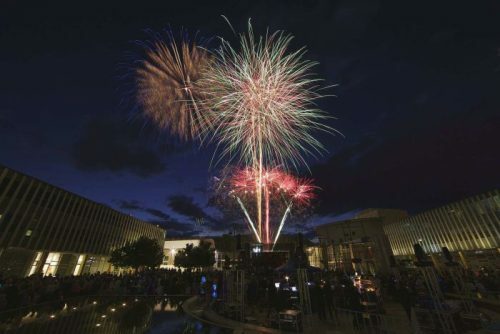 Earlier today, the New Year Celebrations across the World have already started from Samoa, a small Pacific Country, becoming the first Country which welcomed 2019 with New Zealand following in less than an hour. Over 24 hours, Cities across the World will gradually sign off 2019 and welcome the New Year, starting in the Pacific heading across Asia then Europe and finally the Americas. 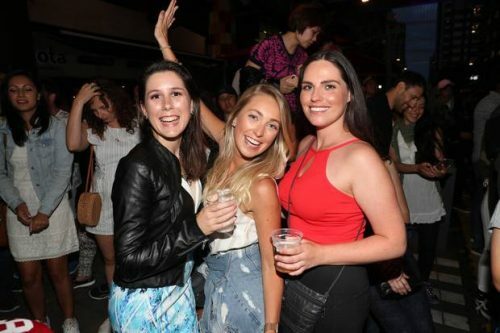 Around 1.5 million people packed Australia’s biggest city to watch as the midnight fireworks erupted from Sydney Harbour Bridge sending rainbow-coloured showers soaring into the night sky.